DBS Arts Centre is ideally located in the vibrant Robertson Quay night spot surrounded by restaurants, cafes, wine bars, hotels and art galleries, thus making it a perfect spot for a fun evening of great entertainment. With a total seating capacity of 380, comprehensive lighting and sound facilities, the DBS Arts Centre is a cozy venue ideal for small and mid-sized performances, be it theatre, dance, concerts or musicals. The venue caters even more types of events such as product launches, conferences, film screenings or even lectures. 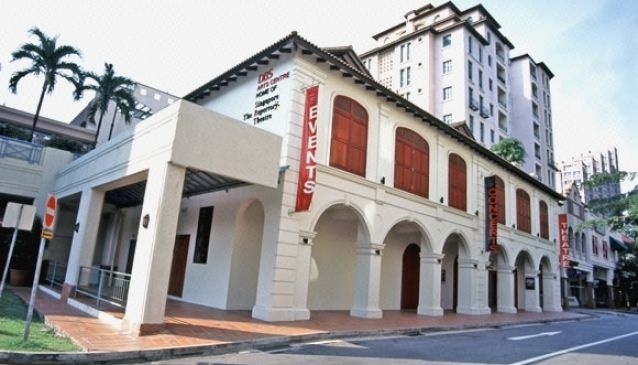 DBS Arts Centre is home for Singapore Repertory Theatre, one of Asia's leading English-language theatres.